Edge West is proud to announce that we have delivered our latest film Gangland Tokyo (aka ‘Inside The Yakuza’) to National Geographic. The film is a groundbreaking documentary exploring the dark and often dangerous world of the Japanese mafia, known as Yakuza. The film will air in the fall on NGC – times to be published soon. 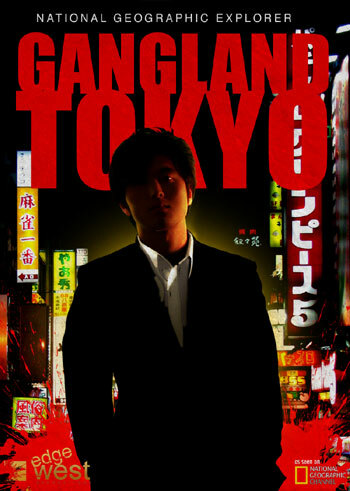 The production team of Philip J Day, Calder Greenwood and Aaron Even travelled to Tokyo last September 2010 and worked hard to gain incredible access to the Yakuza. Some of the contributors wanted to have their identities blurred but several were brave enough to stand up and speak out about the strict and sometimes violent codes of Yakuza, which include cutting of a pinkie for a misdemeanor. We are extremely proud of this cutting edge documentary film and look forward to your comments when it airs later this year.